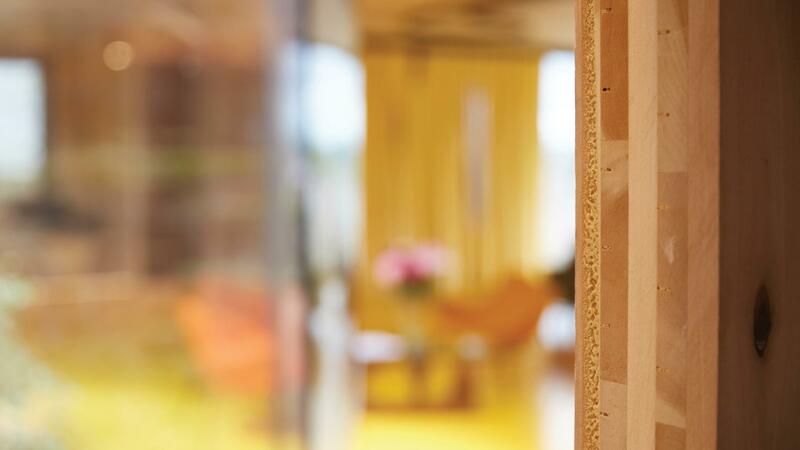 The centre becomes the first building to be made from hardwood cross laminated timber, a material first pioneered in 2013 by dRMM, AHEC and Arup for the 2013 London Design Festival. 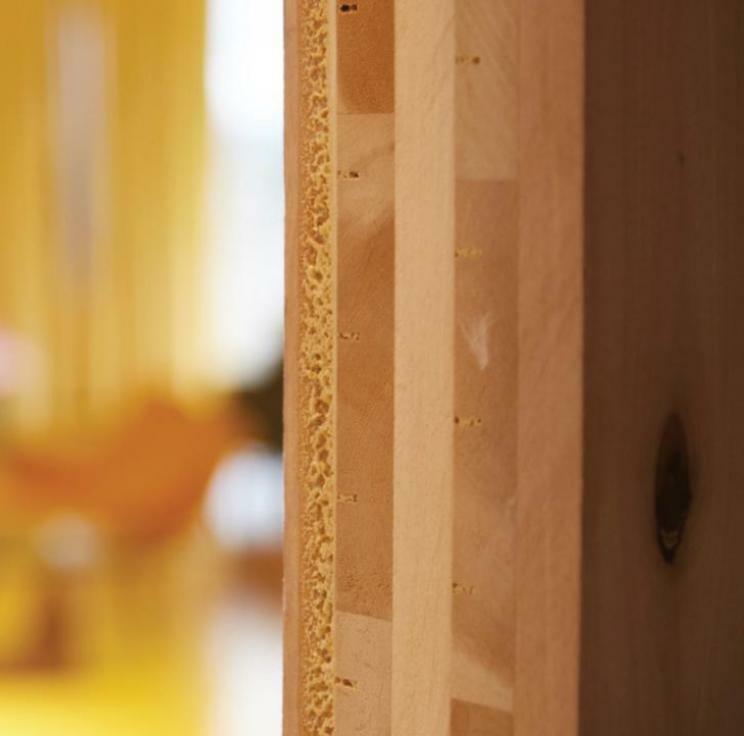 American tulipwood CLT is unparalleled in its strength, lightness, speed of construction and sustainability. 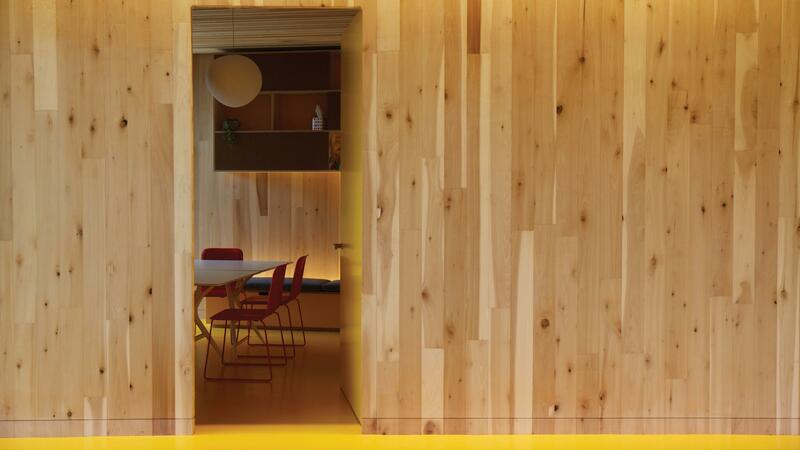 The whole building is constructed from 20 American tulipwood CLT panels. Thermally modified wood is wood that has been modified by controlled heating to >180oC. 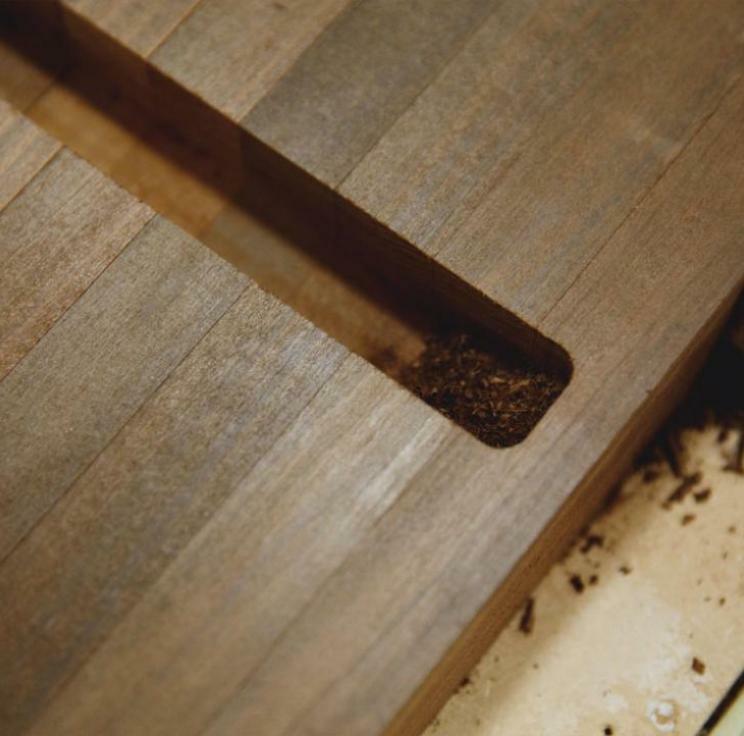 This baking process effectively crystallises the wood’s cambium which in turn provides enhanced stability and durability and reduces shrinking and swelling over time. The process changes the appearance of the wood, giving it deeper brown tones throughout. 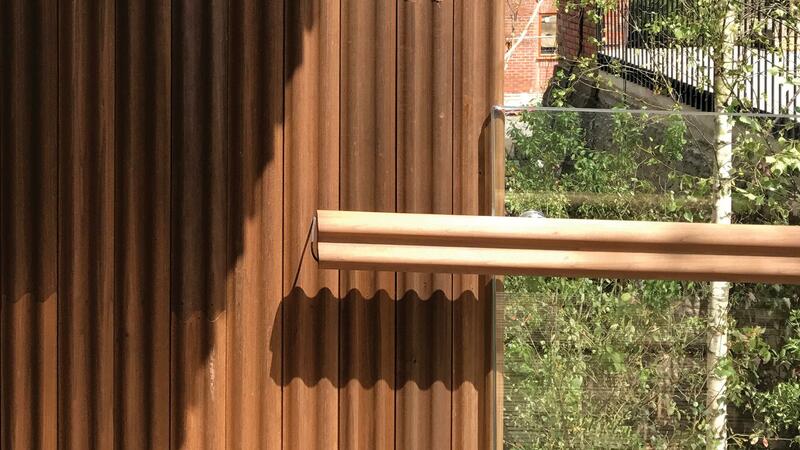 Maggie’s Centre, Oldham is the first building in the UK to be completely clad in TMT tulipwood. 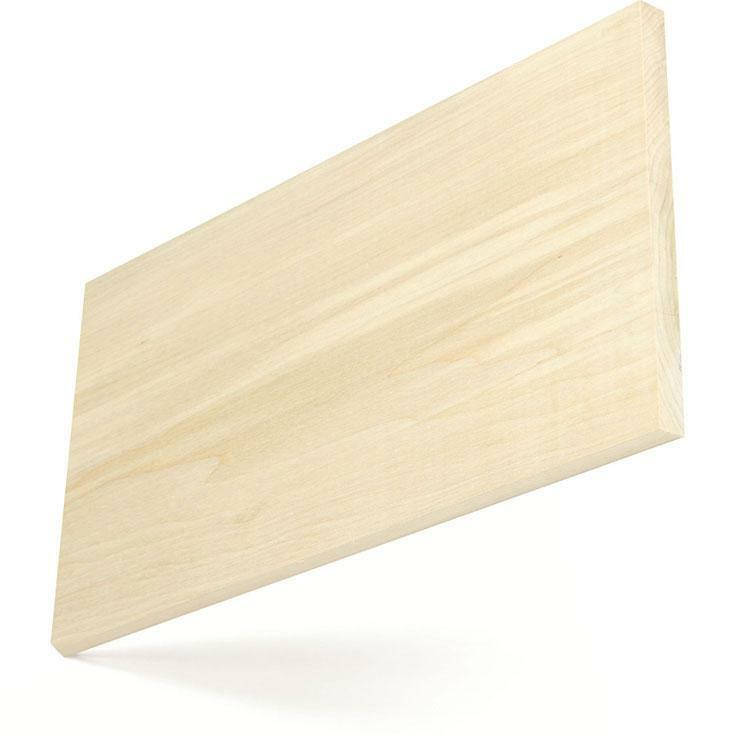 American tulipwood is the fourth most abundant timber in the U.S. hardwood forests, representing 7% of the total growth. It grows in all 33 states that are home to U.S. hardwoods. Not only is the amount of growth greater than the level of harvesting in every state, but in all of them the harvest level is less than half of the growth level. Tulipwood in particular is a fast growing timber and regenerates by natural reseeding and by re-growing from the stumps of harvested trees.